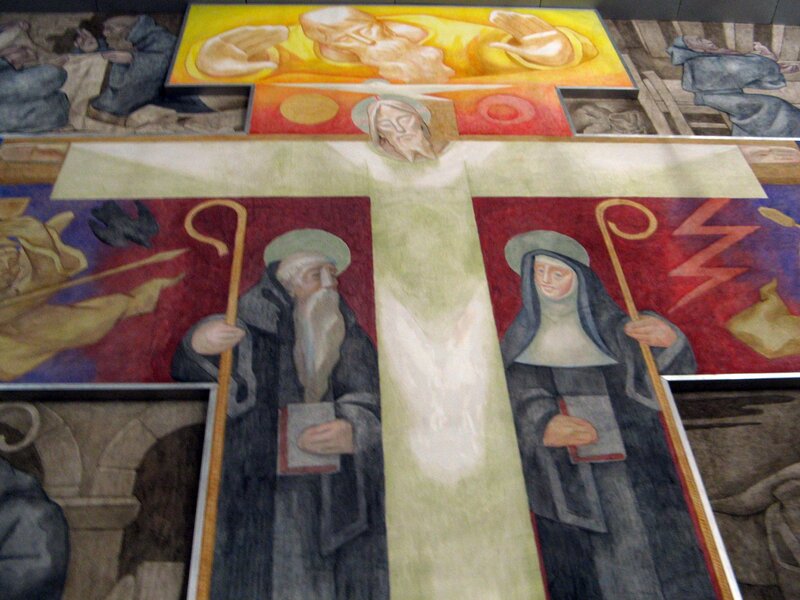 Today is the feast day of my newest friend in the Cloud of Witnesses: St. Benedict of Nursia. I was deeply privileged last spring to spend a week at St. Gregory’s Abbey, a Benedictine monastery in Three Rivers, Michigan. While I was there, I came to realize that many of the elements, people, and practices that have shaped my spiritual journey thus far are not random bits that I’ve thrown together, but are all, in fact, Benedictine in origin. I am thinking specifically of the Divine Office, Lectio Divina, and Centering Prayer. I also discovered that one of my heroes in the faith, Dorothy Day of the Catholic Worker movement, was a Benedictine Oblate. It seems that St. Benedict has been stalking me for quite some time. I must say that it feels good to finally be caught. 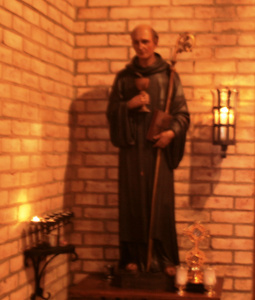 Below I have re-blogged an article that is a reflection on the personality of St. Benedict, written by Abbot Andrew Marr of St. Gregory’s Abbey.